Samuel Dealey was born on September 13, 1906, in Dallas Texas, to a prominent Texas family. Indeed, his uncle was the founder and publisher of the Dallas Morning News. After graduation, as expected, young Samuel was appointed to the United States Naval Academy. However, after posting poor grades, Dealey “bilged out” of the Academy. (According to tradition, midshipmen never walk out the “bilger’s gate” – a pedestrian gate in the Naval Academy’s outer stone wall. However, those who flunked out of the Academy exited through the bilge gate, leading to the term “bilge out.”) Amazingly, Dealey won reinstatement, eventually graduating from the Academy in 1930. Captain John Philip Cromwell was born on September 11, 1901, in Henry, Illinois. He was appointed to the United States Naval Academy in 1920. Upon graduating in 1924, Cromwell served two years with the surface fleet, aboard the battleship USS Maryland (BB-46). In 1926 he attended Submarine School and was assigned to the USS-S-24 (SS-129). Cromwell subsequently served on a number of shore commands, including as Staff Commander SUBPAC, and SUBDIV 203 & 44. He was also assigned commands on a number of submarines including the USS S-20 (SS-125). Henry Breault was born in Putnam, CT on October 14, 1900. At the age of sixteen, Henry enlisted in the British Royal Navy, and after serving for four years, joined the United States Navy. 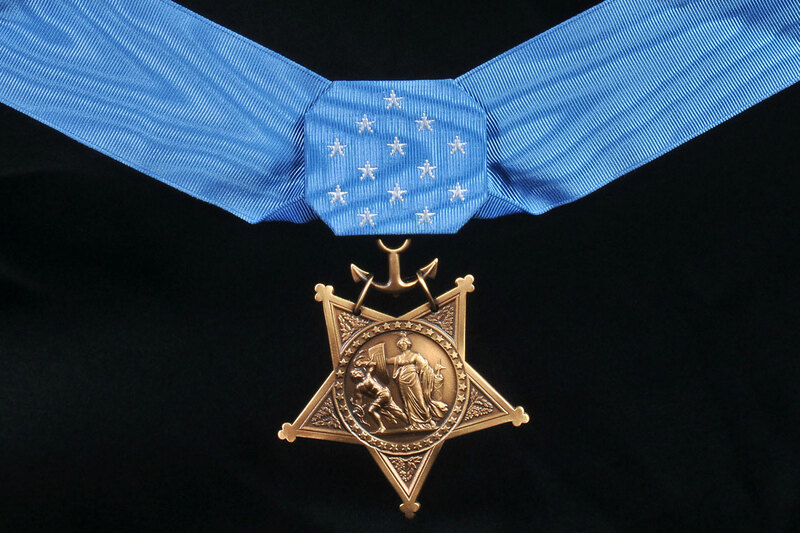 It is while serving in the U.S. Navy that young Henry would go above and beyond the call of duty earning him the distinctive Medal of Honor.